Flossing every single day can be quite a challenge, but flossing regularly when you have braces can be even more of a chore. For anyone who wears braces and wants the health benefits and peace of mind of flossing every day but doesn’t want the hassle, an electric power flosser like the Waterpik is a simple solution. Maintaining healthy teeth and gums is an essential part of modern daily life. Apart from having a clean and fresh mouth, the health benefits are immense, and the consequences of not doing so can be potentially harmful. Without following a regular dental routine, you are susceptible to gum disease (gingivitis and periodontitis), tooth decay and halitosis. Brushing your teeth twice a day, and flossing on a regular basis is the recommended way; however, many find the process of using dental floss unpleasant, difficult, and time-consuming. Hence, using a power flosser suddenly becomes a much more attractive choice. Simple, effective and efficient, it easily cleans the teeth and helps maintain healthy gums, and of course, removes the need to manually floss. What are the Waterpik options for those who wear braces? Thanks to Waterpik’s innovative orthodontic cleaning tip, flossing with braces has become a whole lot less of a chore. if you are thinking of investing in an electronic flosser for cleaning around braces, choose a Waterpik that comes with the recommended orthodontic attachment. The orthodontic tip has a finely tapered brush on its end to remove food debris, plaque and bacteria from in and around the braces. Obviously, choosing the right model really depends on your preferences, so let’s look at the various options available. Cordless vs countertop: The Cordless Plus Water Flosser (WP-450), is a portable unit, and particularly useful if you have a small bathroom and limited counter space. In comparison to countertop models, this cordless water flosser has a smaller reservoir (210ml), and it does have slightly lower overall pressure capacity (45-75 psi). However, in return, it gives one a more compact, lightweight and portable device. Available in black or white, it has a built-in rechargeable battery which gives multiple uses on a single charge, without requiring the unit to be plugged into an electrical socket, and it can even be used in the shower. The countertop model, Waterpik Ultra Flosser (WP-120), provides more pressure than a cordless model, with 10 pressure settings that range from 10 -100 psi, and has a larger reservoir (600ml), to give longer flossing time. It comes with a two-pin plug for use with UK shaver sockets. 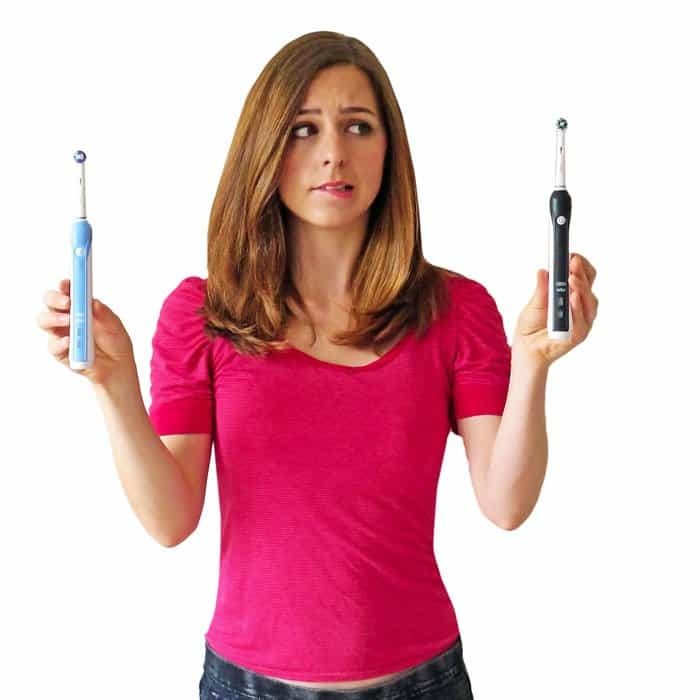 Stand alone Waterpik vs toothbrush + flosser combo: With the Waterpik Complete Care (WP-900), toothbrush and flosser combination, you have brushing and flossing in one single device. Brushing alone, even with a top sonic toothbrush, is not enough and combining the Waterpik and flosser can create the perfect set-up. It saves counter space and power outlets and is an excellent choice for those with braces. Adult vs kids models: Obviously the age of the consumer is important in choosing the right Waterpik. The model for children which uses the orthodontic tip is The Water Flosser for Kids (WP-260), designed for children aged 6+. Featuring an extra safe, child-proof electrical design, and easy to use controls, it is perfect for any child with braces. Standard vs designer models: Perhaps style and color are important in your choice? The ultimate solution is The Aquarius Professional Water Flosser (WP-660), the most advanced water flosser available. It has a brand new contemporary design, an on/off water control on the handle, LED information panel, and enhanced pressure performance with 10% more water pressure. New pulse-modulation technology gives maximum plaque removal, gum stimulation, and improved circulation, and it has a reservoir capacity of 90+ seconds. Also available is The Aquarius Professional Designer Series Water Flosser (WP-670) with its striking, modern finishes of white, teal, black, and pink. Model size footprint – small vs large: The Waterpik Nano Water Flosser (WP-250), is the simplest, easiest and most convenient way to floss, with its space saving size, quiet performance, and energy efficient design. It has a reservoir capacity of 60+ seconds, 10-90 psi pressure, and works with an electric shaver socket. Finally, there is the Traveler Water Flosser (WP-300). With its ultra-compact design, it is ideal for traveling, or to be used in smaller bathrooms. It has global voltage capability, allowing it to be used anywhere around the world, is energy efficient, has a reservoir capacity of 60+ seconds, and a pressure control system with 3 settings. Deciding on the right model is important, but should be fun. Without question, which choice you make determines how much you’ll use your Waterpik. The essential thing to remember is, if you’re wearing braces, to get one that can use an orthodontic attachment. Okay, let’s get cleaning and flossing. The more you maintain your teeth and gums, the less you’ll need to worry about them. Oral hygiene for people wearing braces is even more critical, simply because food particles and plaque can get stuck underneath the wires. Not dealing with this problem can cause staining to your teeth, as well as the much more serious issues of gum disease, tooth decay, and decalcification. Decalcification affects tooth enamel and can cause white spots or lesions to appear on your teeth. Once present, it is impossible to alter and therefore prevention is most important. To combat all these potential hazards, it is important to brush your teeth twice a day and floss once a day. Unfortunately, using conventional dental floss or threader whilst wearing a brace becomes even more awkward whilst wearing braces. Using a toothbrush is the only effective way to clean teeth. If you still use a manual toothbrush and your cleaning technique is not as good as it might be then upgrading to an electric brush could drastically improve your dental health. There are many excellent models available. Check out reviews on the best electric toothbrushes to find the best toothbrush for you.